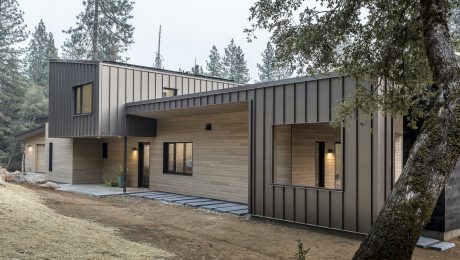 To achieve a Net-Zero designation, today’s builders need to focus on using products that deliver energy savings, durability, and occupant health and comfort. Air and moisture barriers play a critical role in this process. 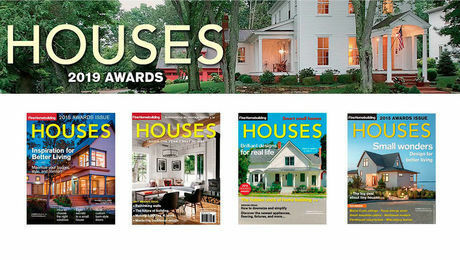 As a proud sponsor of the 2018 Fine Homebuilding House, Dörken’s innovative, high-performance air and moisture barriers provide the advanced technology and durability needed to help create a comfortable, sustainable, energy-smart home. DELTA®-VENT SA serves as a critical component of any energy-efficient building enclosure. 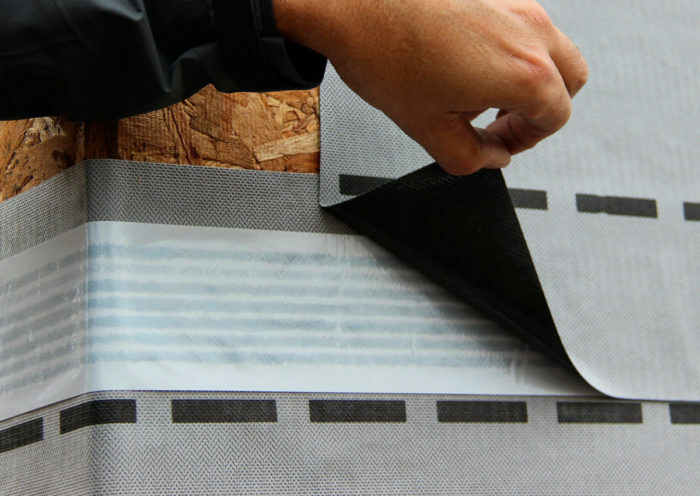 Using industry-leading technology, DELTA®-VENT SA creates a continuous water, air, and weather-tight barrier that is also highly vapor permeable, so buildings stay dry and last longer. By allowing moisture to escape, DELTA®-VENT SA eliminates the risk of mold and other problems caused by moisture. DELTA®-VENT SA also improves the performance of the wall system by adhering directly to the substrate, meaning fasteners are not required. 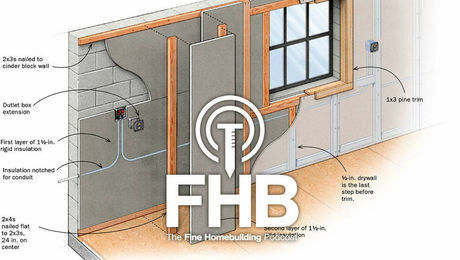 This eliminates the risk of leaks and provides increased airtightness for optimal building performance. 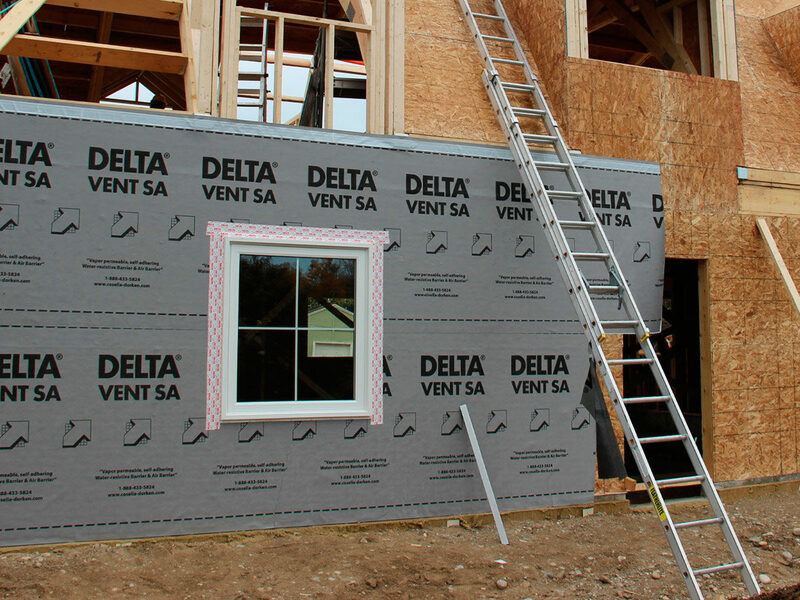 Using the complete DELTA®-VENT SA line of air barrier system accessories, builders can ensure every corner, window gap, and edge is always 100% sealed. When moisture accumulates in the roof substructure, two problems arise. The first is premature damage to the roof substructure, leading to major repairs. The second is condensation on the underside of the metal, which can lead to corrosion and require the metal to be replaced sooner than necessary. 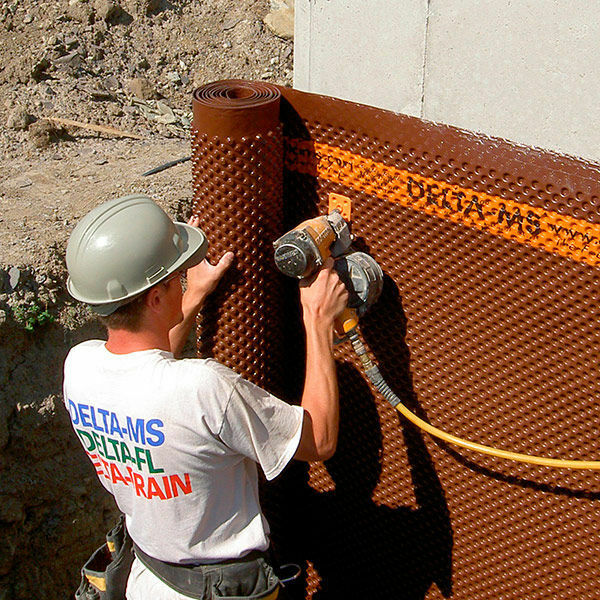 DELTA®-TRELA is a vapor-permeable underlayment that prevents the accumulation of the moisture by using structured separation and drainage. The product is specifically designed for metal roofs and façades with metal cladding. The most common problem associated with basements is unwanted moisture. DELTA®-MS is the high-performance dimpled membrane that keeps basements permanently dry and protected. Unlike sprays, which crack when concrete walls crack, DELTA®-MS bridges cracks so no water intrusions can occur. Using exclusive Air-gap Technology, DELTA®-MS keeps water away from walls and allows for any incidental moisture to drain harmlessly to the perimeter drain. When floor slabs are composed of porous concrete, they are known to collect moisture and mold. To preserve a building’s foundation, proper moisture protection is essential. 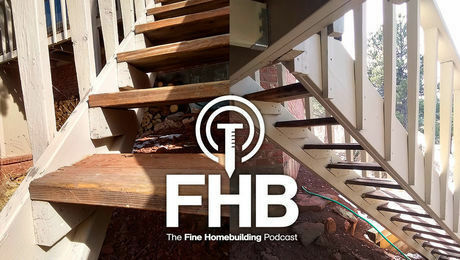 Using a sub-base course helps to prevent the concrete from pulling water up from the dirt, which would otherwise allow moisture to seep through walls, joints, and the floor. This is where DELTA®-MS UNDERSLAB comes into play, preventing the passage of water and providing reliable, long-term protection to achieve permanently dry concrete slabs. Dörken is the North American division of Ewald Dörken AG in Germany. Ewald Dörken AG has been in business since 1892, longer than almost any building materials company. For more than 125 years, Dörken has been delivering innovative, high-performance air and moisture barriers for both commercial and residential construction, protecting all types of buildings from around the world in the most extreme weather conditions. Foam insulation below the concrete makes deep footings a thing of the past. Steel piles screwed into the ground can support anything from mailboxes to houses. A fast and accurate way to get the holes in the right spots.